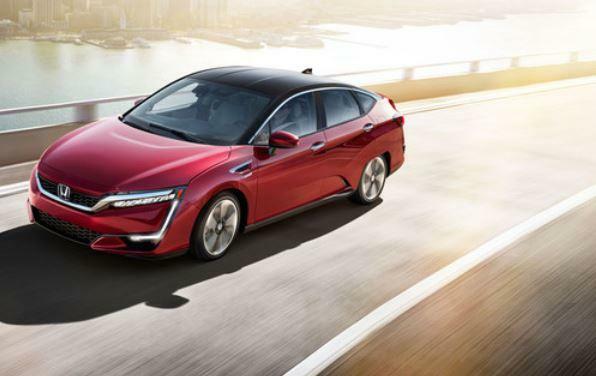 The Honda Clarity Fuel Cell sedan received a U.S.-best EPA-rated driving range of 366 miles, the automaker said today. The Clarity Fuel Cell, set for a limited U.S. release this year, also received an EPA-rated gasoline equivalent of 68 mpg in combined city and highway driving. This entry was posted in 2017 Honda Clarity by Honda of Pasadena. Bookmark the permalink. Honda of Pasadena is excited about the 2017 Honda Clarity Fuel Cell vehicle coming this fall to Pasadena.